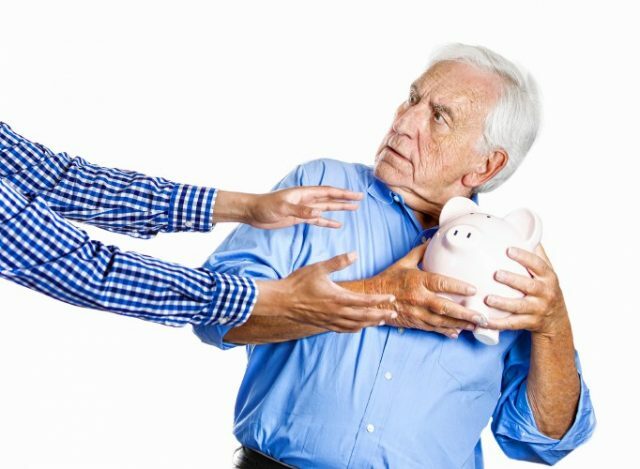 Financial elder abuse, where senior citizens are manipulated for financial gain, is a growing problem. According to the National Adult Protective Services Association (NAPSA), one in 20 seniors indicated some form of financial abuse or theft. Fraud and financial elder abuse costs older Americans more than $36.5 billion annually. What’s worse, 90 percent of the “abusers” are trusted caregivers or family members. While anyone can be subjected to financial abuse, elderly individuals — who are isolated, suffering from recent losses, have disabilities or lack familiarity with financial matters – are typically an ideal target. Here are a few things you may want to be on the lookout for if you have an aging parent or grandparent. You may have heard about a 50-year-old woman that faked cancer to steal $69,000 from an elderly man. Unfortunately, these stories are all too common, and financial exploitation of older, more vulnerable adults is an increasing issue. Fraudsters will “friend” an elderly person, lie to or manipulate them for their own profit. Keep an eye out on new acquaintances who are getting a little too acquainted. Check for sporadic withdrawals and transfers. Has a relative, or someone you know, made an unusually large withdrawal or transfer of funds from your loved one’s account(s)? Retired individuals usually have set bills and payments every month. If out-of-norm transfers or withdrawals occur, investigate it further, and don’t be afraid to press for answers. Look out for forged signatures. Typically, fraudsters will forge signatures when making financial transactions or make changes to important documentation such as bank documents or titles. If you discover suspicious signatures on financial documents, discuss the information with your loved one. They’re likely unaware of any changes made or may have been coerced under false pretenses. Keep an inventory of possessions. While it’s hard to keep an inventory of the valuable assets your elderly parent/grandparent has, try to make note of them. You may find that possessions in the home have gone missing and this may be the beginning stages of something much worse. Caution them on out-of-the-blue calls. “Congratulations! You’re the winner of a new Cadillac. We just need your full name, social security, and bank account number.” You’ve probably received a call like this and realized early on, it was a scam. But not everyone does. In most cases, fraudsters will target aging adults and ask the new “winner” to pay for state and federal taxes prior to receiving the prize. In other circumstances, they may be contacted by the “IRS,” claiming they’re going to take legal action on past-due taxes, or by the “police” stating a family member is in trouble, and they’ll need to wire money to this anonymous account to bail them out. Whatever the scenario, make sure you have conversations with them about never giving out any personal or financial information over the phone. The main takeaway: keep an eye on your loved ones. If you have a parent or grandparent in a nursing home, go visit them as often as you can. This will help you identify any signs of elder abuse and potentially keep scammers away. To report an at-risk adult, contact the local Adult Protective Services (APS) in your county. If you fear the situation is dangerous and needs immediate attention, please call 911.